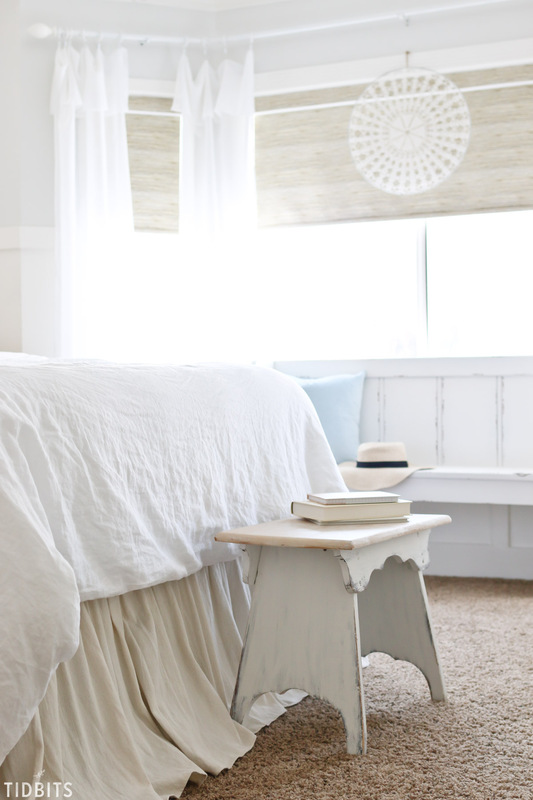 Refreshing the master bedroom (our special space) is one of my favorite rooms to hit each new season. 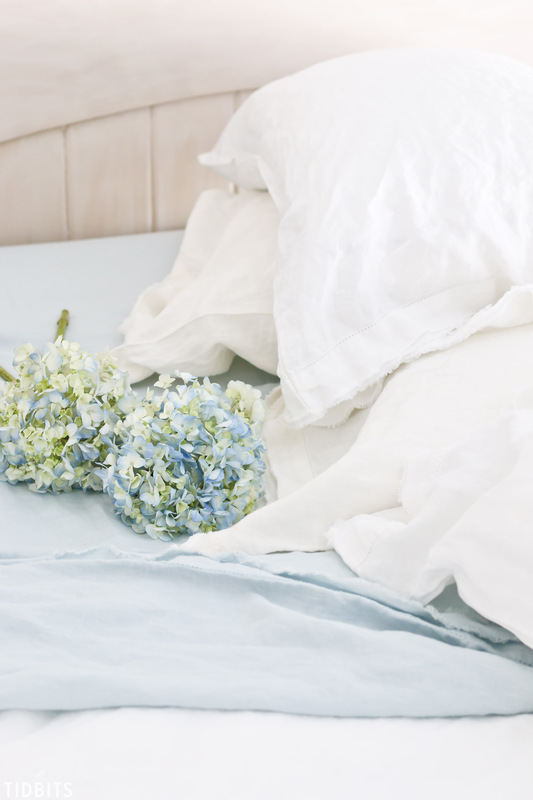 It doesn’t take much more than clean sheets, new throw pillows and fresh flowers (for good measure), but to have this opportunity to try out 100% pure linen sheets . . . well . 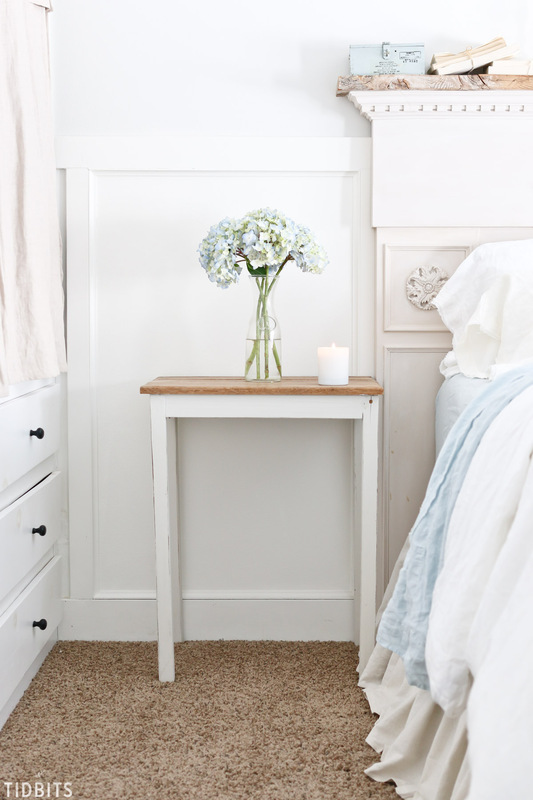 . . this years Spring bedroom refresh is one for the books! 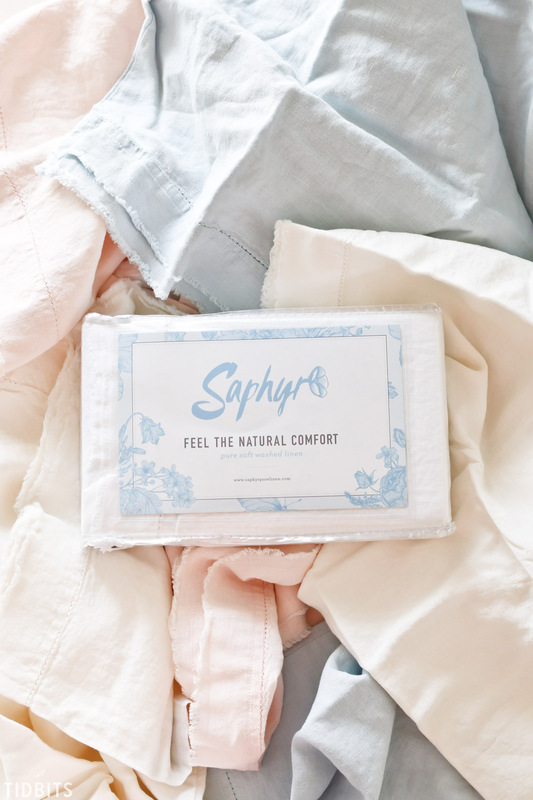 *This post is in partnership with Saphyr Pure Linen. The text, images, opinions and pleasure was all mine! Soft washed 100% pure French linen. Just saying that out loud makes me feel like royalty. I can date my love – no, obsession – over linen fabric clear back to my high school days. I’m not sure I even knew what it was called then, but I can clearly recall being so intrigued by solid color fabrics with nubby raised weaves and a gentle relaxed wrinkle. You’ve perhaps noticed me faking my way to that pure linen look by using drop cloths to make bed skirts, or blended “linen-like” fabrics to make a duvet cover and pillow covers. All well and good – but today my friends, I want to talk about Soft washed 100% pure French linen. The real deal. Pure linen in the most delectable, soft buttery colors you could imagine. It all came about one day while taking my daily scroll through Instagram land. When lo and behold, on my tiny screen came up the feed of @saphyr_pure_linen. I stopped and gasped. I wanted more. So I dug deeper and deeper into the words “pure”, “soft washed”, “linen”, and to top it all off . . . “French” . . . reste mon coeur. (Which siri tells me means, “be still my heart”). It’s as if the screen was taunting me, “touch me if you can”. I bugged and pestered my way into the Saphyr inbox, and all but begged and pleaded for them to let me photo and capture the beauty of their linen. As luck (and hard work) would have it, I entered the playing field of my dreams. 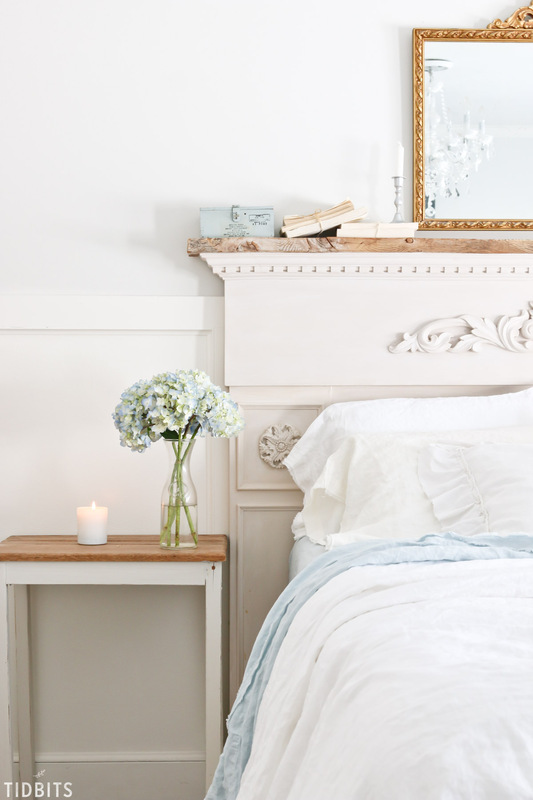 Fresh white, blissful blue and calming cream, pure French linen is exactly what my dreams are made of. In these images you’ll see I’ve covered my down comforter with the “Fresh White Duvet Cover”. 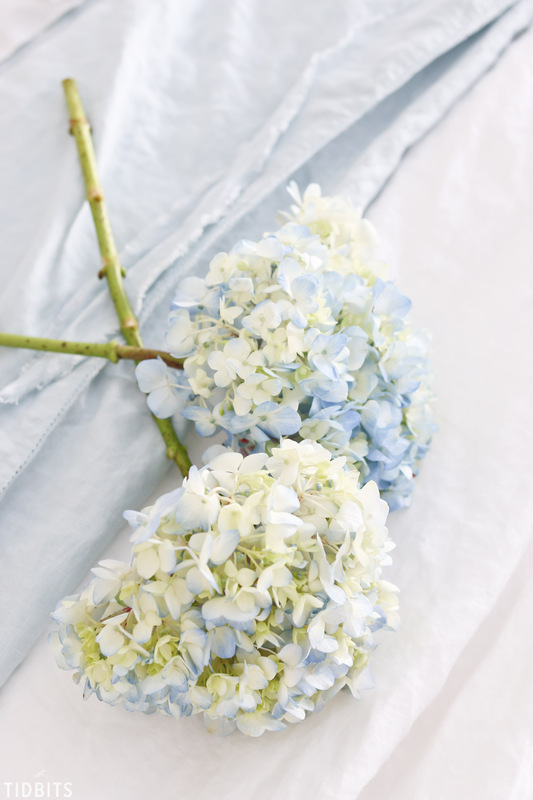 The fitted and flat sheet are strutting my favorite color of all time – “blissful blue”, and I’ve mixed and matched the pillowcases for a white-on-white tone with “fresh white” and “calming cream”. The ruffled pillow comes from my own DIY tutorial, Ruffled Sham pillowcase. *More wonderful color options available on saphyrpurelinen.com. There is an intended frayed edge on the flat sheet and pillowcases. For me that is the “piece de resistance” of this product. What character and uniqueness it brings to the linen. After pre-washing my linen, the fray became slightly more evident and yielded an even more refined fray . . . if ever there was such a thing. I have been ensured by Saphyr that while you may have few stray strings to pluck after the first 1 or 2 washings, it will not continue to unravel but will hold onto it’s unique worn appearance. What I would suggest is to wash and mostly dry, and promptly remove it from the dryer and put it on your bed slightly damp or leave to hang. If they sit in a wadded up pile, the wrinkles may look a bit more than “lived in”. A few other things I love love love about linen sheets is how breathable they are, which is a natural characteristic of the flax fiber used to create linen. Linen is also stronger and more durable, which means it has a chance to stand up to my sandpaper feet longer than others. Linen is absorbent, eco-friendly and hypoallergenic. All great reasons to love linen. Saphyr says this . . .
You can read more about linen HERE. I’ve heard many of varied opinions on linen sheets. In fact, I’d feel deceiving to not tell you that Mr. TIDBITS himself says he would prefer the standard cotton/polyester blend sheets we own because he says he prefers the silky feel over the luxurious, delectable lofty feel of linen. I know, I don’t get it either. He is a wonderfully simple man with simple tastes (that’s why he picked me). In considering sharing linen sheets with you, a product that could very possibly be 3 times the cost of what you would likely spend on sheets, I had to do a little soul searching. 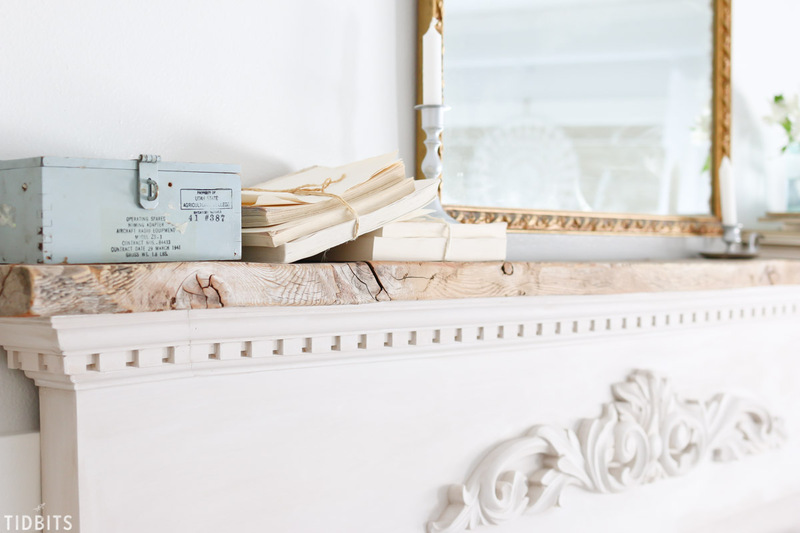 I get fuel for my fire by sharing ways to get the look for less, or to thrift, DIY, re-envision and love your space no matter the stage you are in. 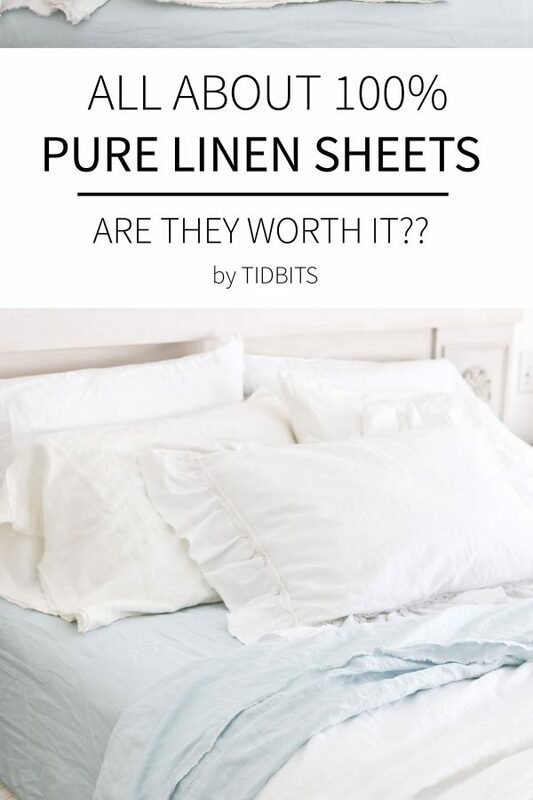 So I asked myself, why would I share 100% pure linen sheets?? Sheets. Pillowcases. Duvet covers. You can certainly go thrifty on these products and get a nice look for less, so why would you splurge on linen??? My answer . . . if it’s not feasible for your budget, by golly, don’t do it. (Though, be sure to take advantage of 15% off when you sign up for their newsletter). However, we all have our things right? The things we save up for, splurge on, treasure, indulge in. For some, that is a nice purse, a pair of shoes, beauty products, a special outfit, organic foods, or the perfect piece for the perfect spot in your home – all things that make you “feel” good and special. For me? Oh how I indulge in linen. It’s my thing and I thought, perhaps it might be yours too. This product may not be for everyone. Some say too expensive, too wrinkled, too textured, but I say to all linen lovers, you will not be disappointed. I “feel” sooooo good climbing into bed. The lofty drape, the nubby texture that only gets softer with time – it is all better than silk to me. It’s that little something for this hard working mama that makes her “feel” truly special. 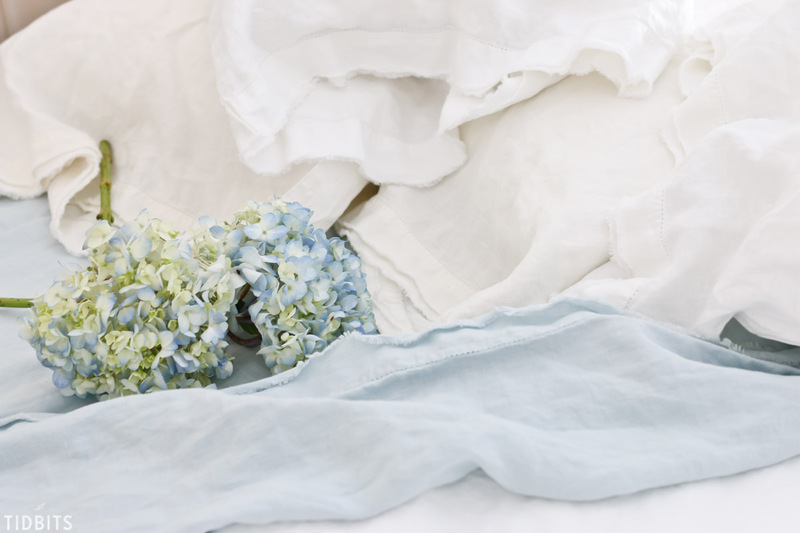 From the very first moment I opened the package, to the very first time I climbed into my 100% pure French linen sheets, I thought to my linen loving self . . .
Touch me. Hold me. Love me. My kids thought I was really weird to be so obsessed. 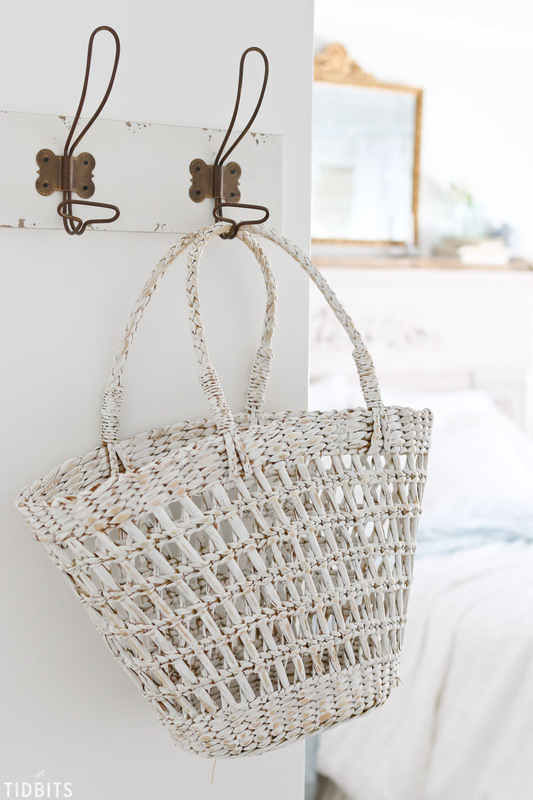 But whether you fall into the linen-obsessed category or not, I hope you’ve walked away with some Spring inspiration! I am slowly making my way around to each space and doing a thorough clean and declutter, and adding in florals and Spring blues (mixed with plenty of white). I’ve been swapping out furniture pieces by shopping around the house, just to give my eyes a visual refresh. And keeping a focus on a more laid back, low maintenance decorating approach. I’ll be sure to list the sources below, but I encourage you to not forget about your space, your bedroom where you relax and unwind. It’s a great space to freshen up for the change of seasons, as I have so often encouraged. One sweet reader of mine was inspired to simply add some flowers to the side of her bed, even though she could only climb the stairs up to her room once a day for bed time. I believe just a small effort to make our sleeping space feel that much better is always worth it. I’m grateful beyond words for the opportunity to inspire and share here. It humbles me and intimidates me at times. 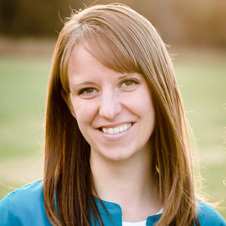 This blog has provided me with wonderful opportunities and the blessing of helping my family financially, but I mostly hope it is always a helpful and inspiring resource for you. While I spoke vastly on linen in this post, I hope the take away was to find the one thing that really makes you feel special and work towards achieving it. Because you are worth it! And that feeling of achievement and knowing you can work hard for what you wish for, is worth all the linen sheets in the world! Thank you for being here today, and I’d love to hear your thoughts on linen. Are you obsessed too or wondering what in the world drives my passion for it? Is it something you’ve tried or wish to try? Let’s chat in the comments below! And please let me know if you have any questions. Many of the other items you see were handmade by Mr. TIDBITS, thrifted or re-purposed, including the headboard, bed skirt, and side tables. To see my other Spring room refreshes for 2018, click HERE or below. CLICK HERE to see all my home tours. 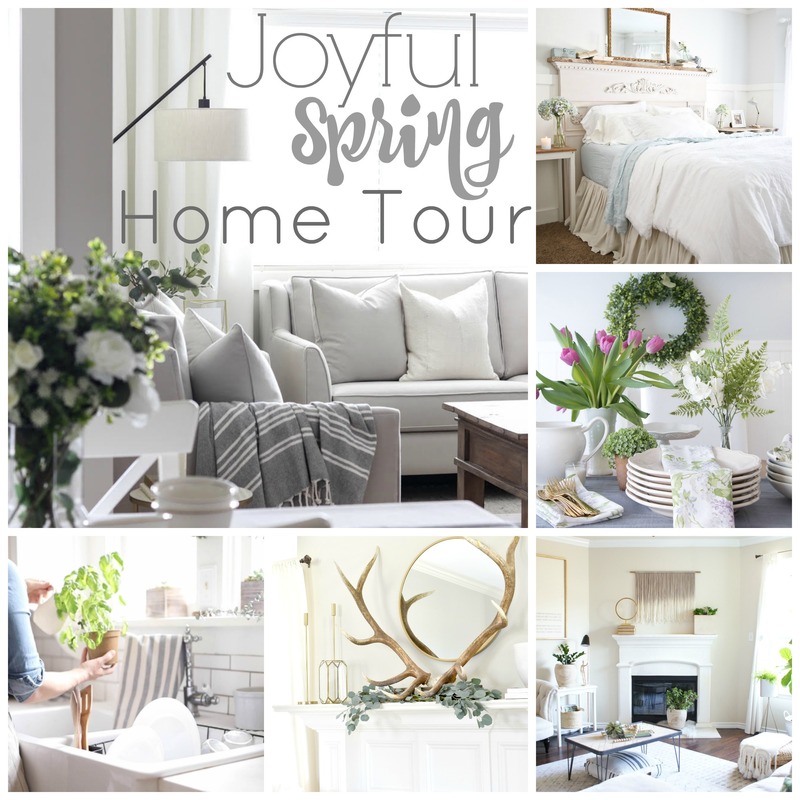 And be sure to click around below to view my friends Springs homes sharing with this years Joyful Spring Home Tours. You are sure to be inspired! I have been searching g for just the right sheets and these look like a winner. I need them to breathe and th she will do the trick! 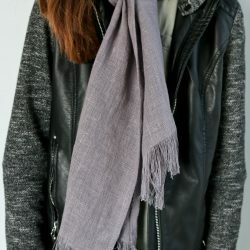 Thanks for a great and beautiful post! 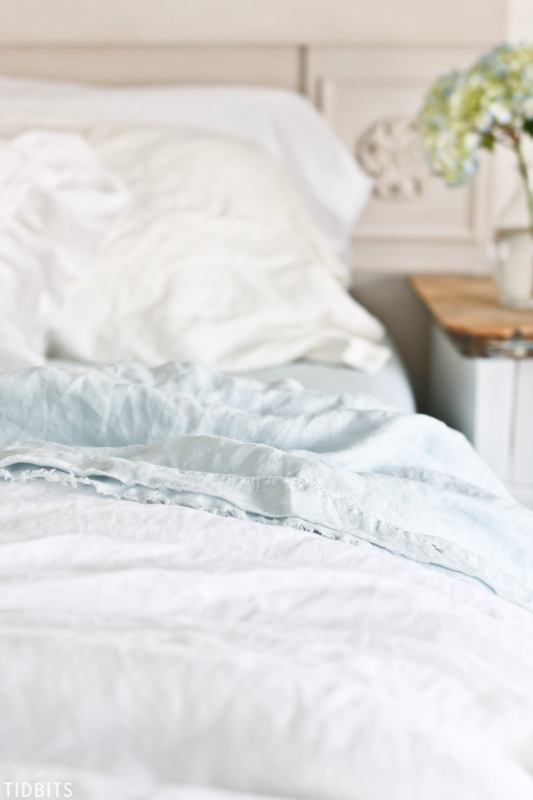 I have never tried real linen sheets – really didn’t know they were a ‘thing’ – but they do look beautiful. My splurge is usually paper crafting supplies – I love – LOVE- paper crafting supplies and truly enjoy making handmade cards to send to those I love, bringing a little happy mail to someone. 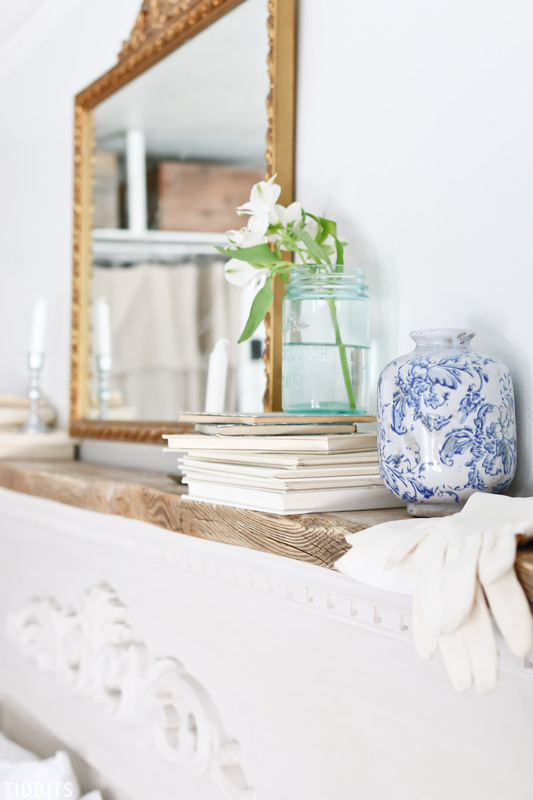 Love your blog – I live vicariously through your clean, organized and full-of-light home! Oh! I too am obsessed with linen! Truly, I just can’t get enough! I purchased the pillowcases first, then the top sheet and my next purchase is the fitted sheet. It’s worth it to buy in pieces if you can’t splurge on the whole set to begin with. It is such a comforting fabric that just feels peaceful. Nothing like it. Really enjoyed this post! I love silky sheets and high thread count but I also love linen, so these would probably tickle my fancy, for sure! I also love antique linens. I sleep on my daughter’s linen sheets when I babysit my grandsons. They do feel wonderful! You inspire me so much!! Something about this post speaks to my heart–I like to splurge on others, and really ‘make-do’ for myself. I have drop cloth fashions all over my house, and wonderful quilts and duvet covers from Goodwill. I’ve never thought about buying linen sheets, but seeing the peaceful colors available from saphyr, I think I need to take the plunge and treat myself. Thanks for treating us lurkers/stalkers to your wonderful home!! This is what I would call “Bedding Envy”!!! lolol… I soooo love this look !!!!! Gorgeous!! After living in Europe for five years, I grew accustomed to quality bedding. The first night after I came back to the US, I awoke in the night drenched in sweat. Ugh. I never thought to try linen bedding. It’s on my bucket list! My splurge is always on my home to make a warm, comfortable, relaxing place where friends and family will feel welcome. I love baskets with soft sofa blankets, real sofa pillows (not those foam filled things), softly scented candles, mugs of Harney & Sons Paris tea, beautiful dishes and things that make my heart happy, whether they are “in style” or not. I don’t know how you do it, but I always feel at home in your home, even if it is just on my computer screen. Thank you. Paris tea by garnet and sons is my go to favorite! It’s awesome over ice with a bit of sugar free vanilla syrup In summer too! Haven’t tried linen bedding but sure would like to try it. My husband would probably be like yours. He likes slick sheets. My splurge has always been high thread count Egyptian cotton, but would luv to try linen. Vintage linens are my weakness and to get that look and feel in new, ready to use bed linens is a real find. My goodness those are beautiful sheets! I too love linen so scrumptious! But as you said, linen sheets are quite a splurge! You’re room looks so calm and serene! Love your decorating style! I have a worn linen table cloth that I have saved to makeover into something. A whole bed of it would be dreamy. I enjoy lavender tea in a pretty cup (I’m picky about the way a cup feels as I hold it) and a crisp new journal, some fancy chocolate, and a lavender bunch. These are the delights I’m thinking about. I have no idea what linen sheets would feel like! I am going to look for a local store where I can touch them and see if they would be a wonderful thing for us or not. My favorite indulgence is trips – I would rather live simply at home and save money to explore the world. I usually splurge on something cozy…a soft blanket or a warm sweater. These linen sheets would fall into that category too, I think! I splurged one time on $250.00 sheets that were on sale for $70.00. they were like 1000 count and so soft. Not sorry I got them. Love them. Now of course, I’ll have to try the linen. My splurge are Michael Kors shoes and a new leather bucket bag by any affordable designer. Yes, my Macy’s card can overheat! Funny, my mother is from Europe and we didn’t grow up with linen sheets even though we had a clothesline, and I have one now. I will definitely try out one set. 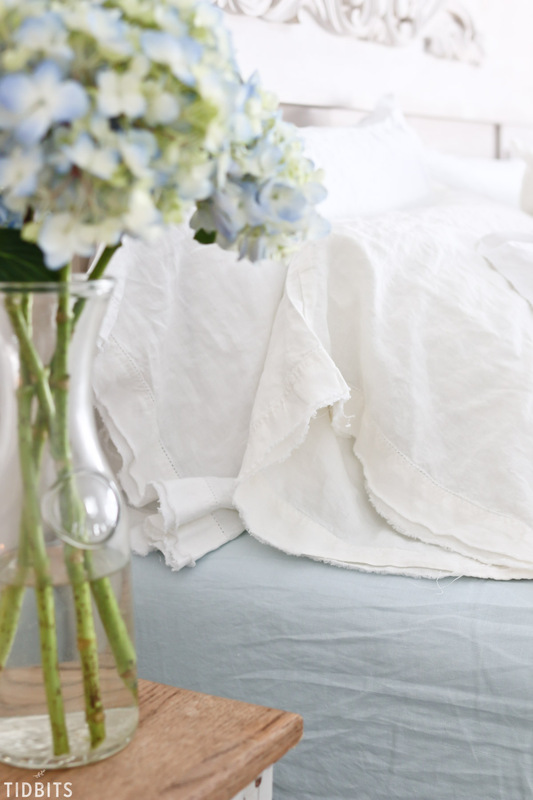 A linen duvet cover for the summer sounds wonderful. I will checkout the site. Love the linen! So luxurious! And your room looks so refreshing. I loved this post. Well, actually all of your posts. And those linens seem fantabulous! I don’t really have a splurge but what makes me feel super awesome is when I find a great deal on something like the slip covered sofa that was 1400. marked down to 325 because some little kid decided to run across it in the store with his shoes on. Yay for me. I came home with it, washed the cover and LOVE IT! That is my kind of splurge. 😉 Thanks for the giveaway. I hope one day to get some of those linens. Following both. I Love linen! I love fabric! I’m a very tactile person. Enjoying you inspiration. I would love to experience the luxury of these linens, I have always loved the look. My dream come true! I’m a linen and pillow-aholic! Linens are a passion of mine too, I shop almost endlessly for vintage fabrics and linens. Closets full of them 🙂 I’d love real 100% linen on my bed, but like so many people, the budget can’t quite handle it. Your room looks spectacular with them! Hi have you ever tried shopping eBay or Etsy? If you wat h regularly you will find those vendors who sell for fair prices. This is where I’ve purchased mine. Prices vary dramatically. Myrtis linen is a lower end usually home spin but still nice. And soften more over time. Hope this may help. I splurge on nice sheets and while they’re not expensive, I also splurge in candles. There’s just something so relaxing about snuggling up in soft sheets. And I love for my house to smell good so I horde candles and wax melts lol. It just wouldn’t be Spring without new bedding or one of the ones i love and put away for Winter. I have always been intrigued by linen. I would love it for my bed or on my table (not crazy about wearing wrinkled clothes though😉) but for bedding it is out of my budget. I’m going to keep my fingers crossed to win the pillow cases. Now that would be heaven. I had no idea linen was hypoallergenic! As someone with a massive amount of allergies (including most foods), I definitely will be checking these out! I love linen! Didn’t know about the linen sheets but I will have to try it, yes, I believe your bedroom should be your haven. 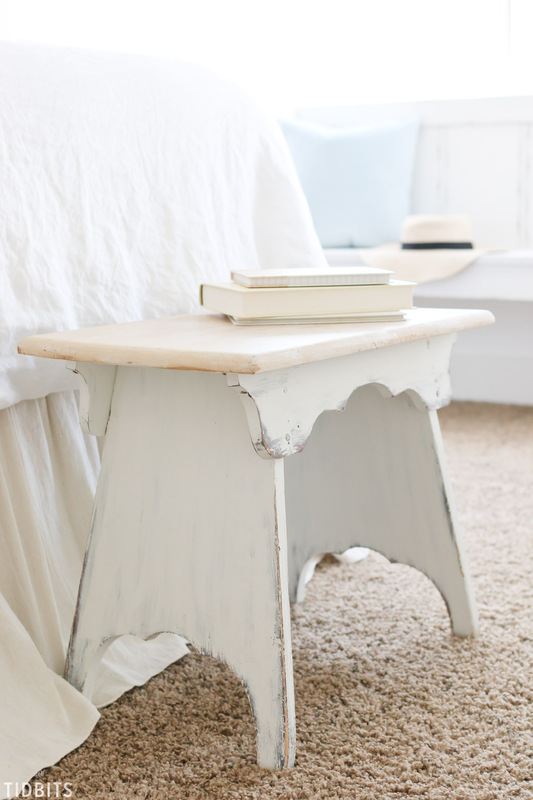 I am getting ready to repaint my bedroom white, yours is such a inspiration! Thank you for sharing this! Linen says “home” to me. AI love to splurge on my food and my yarn. I’m a firm believer that life is too short to not enjoy what you eat. We live by the coast, so I spend a lot of time and decent money at the fish market. As for yarn, I’m a crocheter so I love to splurge on thick alpaca yarn when working on a special project. My tendency with sheets has been to splurge on cotton ones which feel soft and cool (and get better with age), but I would love to try linen sheets. These look amazing! I usually love shoes, but recently I have loved splurging on decor for our new home. Chocolate! Nothing more needs to be said, just ‘choclate’! Oohhh, another linen lover! Can’t get enough of a very good thing! I have clothes in linen, chairs slipcovered in linen, and I have to say I love, LOVE my linen sheets! I have two sets so I can swap them out! And don’t let me get started on vintage French linens! 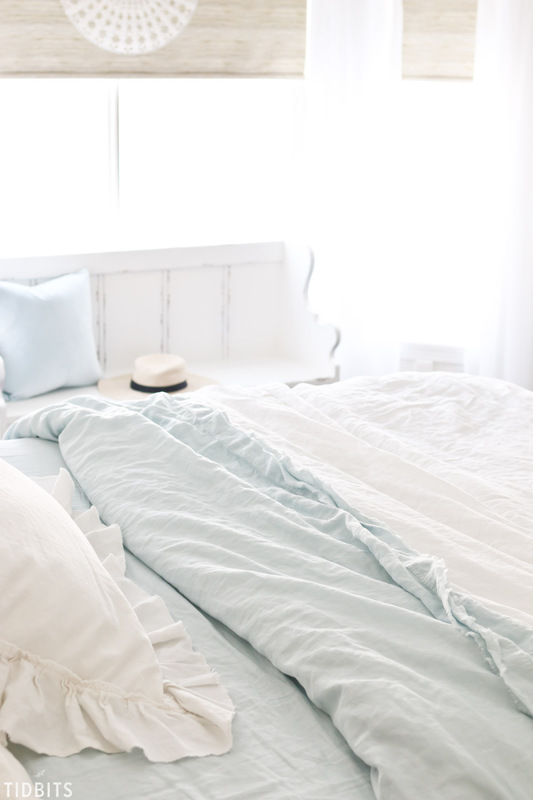 Love the look of linens on your bed! The occasional splurge is necessary! I have a terrible tendency to splurge on cowboy boots. (How many pairs can one girl wear when you don’t live on a ranch?) I’ve always wanted to try linen sheets, but didn’t want to make the investment without trying them first. I like the idea of buying one piece at a time. I splurge on ‘Possum Merino’ cardigans, they really keep me toasty warm in winter and are very light to wear and no itch. As to sheets I have for the last few years gone for pure white cotton, Egyptian with a high thread count. Poly cotton seems to absorb sweat/body oils which are very hard to remove. My first reaction to linen is ‘itchy’ but maybe after a few washes and line drying it would be great. An expensive experiment though, I do have very sensitive skin. 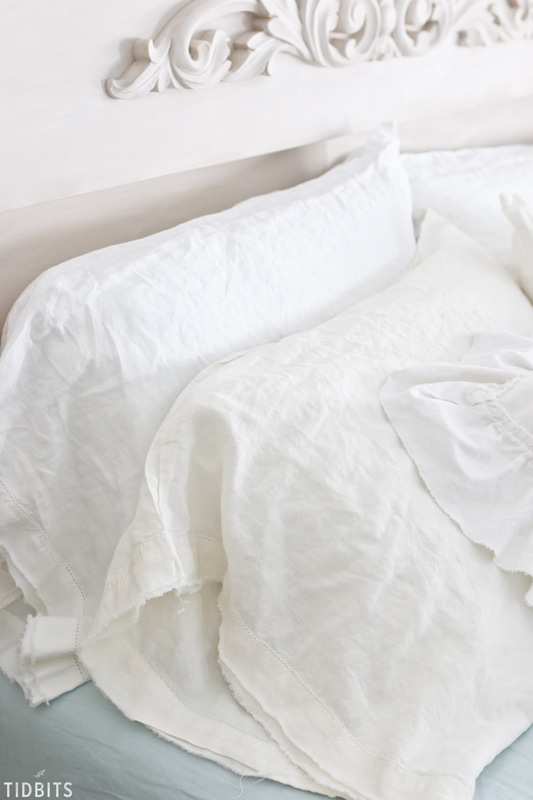 I have been a linen lover for years, first wearing it, then using it in my bedding….but haven’t yet slept on it! I know it would be dreamy! But not for my budget! Love your decor! 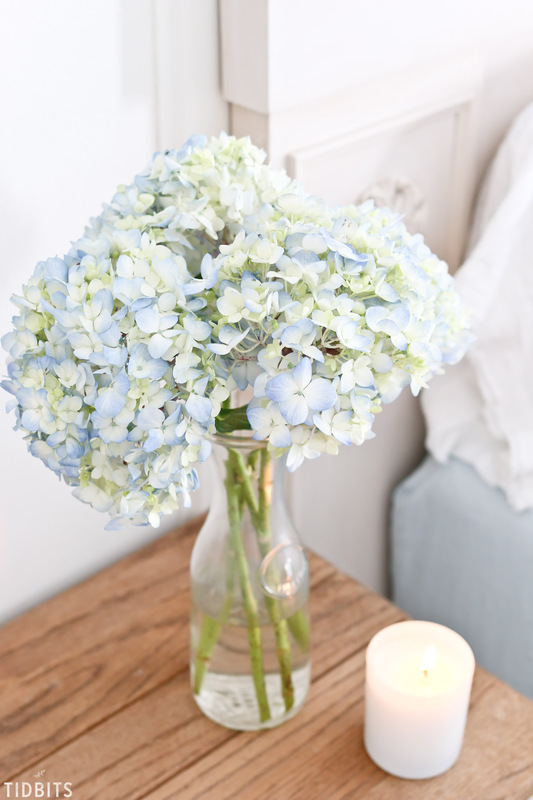 I love linen and would love to win some linen sheets! After a really rough season of life, I could use something soft and lovely. And agree that a bedroom is a great place for something special. We are worth it! Im with Rebecca – the new home has definitely been fun to make our own and decorate it just the way we want! One thing at a time. My splurge is skincare. Anything goes, I especially love buying new meals. What a great article!! Wow I would LOVE linen sheets. I hope to win the pillow cases in the contest, then try them so I can go and order the sheets, thanks for the contest! Well, I have not splurged in a long time due to financial constraints, but like you, my number 1 splurge was always new sheets, new comforter and some pretty things for the bedroom. Linen has always captivated my attention and I love to sew on it when I can–just not always feasible. Would love a set of these sheets to boost my spirits and my spring! Lovely job, Cami! I love linens, like towels or sheets or curtains. I like Oprah’s take on it: the closer something comes to your body, the more you should spend on it. So underwear, toilet paper, sheets, cashmere sweaters, etc would warrant splurging on. Curtains, rugs, or paint could be skimped on. It certainly fits in this case! 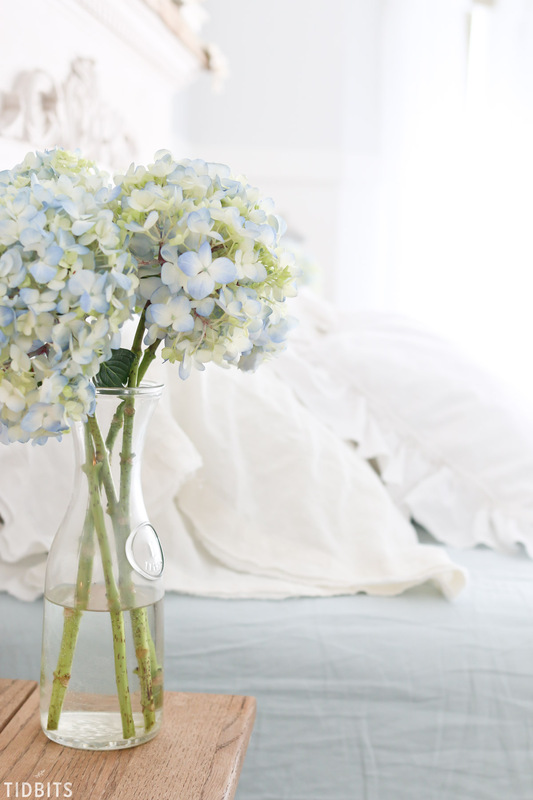 I love me some pretty bed linens, and linen linens are even better! I am a longtime linen fanatic!!! Love love love it! I sleep hot and love how cool linen feels. I have been buying antique French linens for years to use as topsheets but there aren’t fitted sheets cuz they just used flat ones tucked under tight. I finally invested in a fitted sheet from a well known hi end catalog. I was so thrilled. But in 1 year it was shredded from washing. I have an HD machine which I use easy washing on for linens. I use special cleansers that are non abrasive too. I have many exquisite antique linens. Those are my “thing”! I have loved them since a child when my mother taught me what quality fabric is and how to sew. I became enamored of the amazing workmanship when first able to see them in shops. 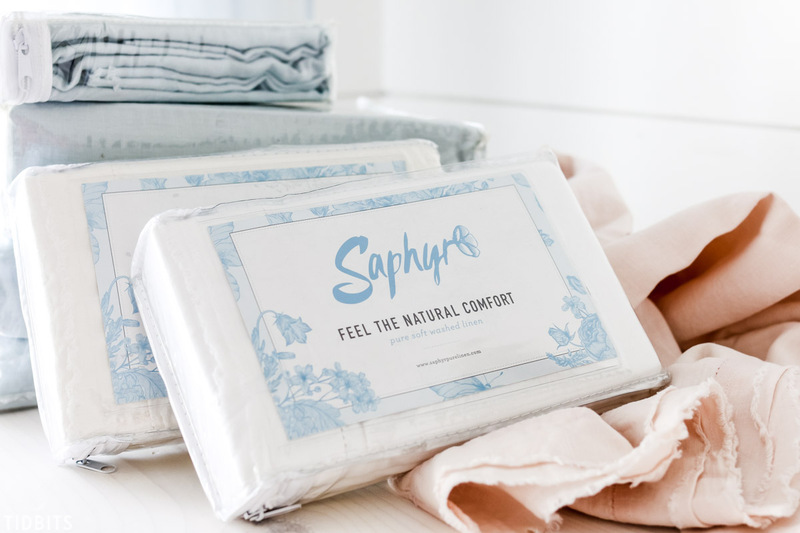 I’m anxious to see these linens from saphyr. My budget like yours is small. These days I am a single 59 yr old with a limited income. So to splurge is a special privaledge. I sell antique linens and other beautiful old things via Etsy. This allows for a bit of frivolous spending! I enjoy your blog each time. I love your recipes too but I’m not a pressure cooker person. But I get so much out of your many ideas and love the painting as I am an avid furniture painter from way back. I’ve used Annie Sloan since it came to the US. But recently I’m trying making my own chalk paints. A.S. is still the best waxes hands down and I’ve tried all the main brands. Just a little FYI. hey girl- these sheets look so cool! I just love buying things like this to make my home extra special! And I also love to buy the big bars of soap at T J Maxx to enjoy in the shower, so neat! Y’all have a great weekend! I really love to buy new home décor, it makes me feel so refreshed and really changes the look of a space! Hope you have a great weekend! Love love love this bedroom! I do so love good quality linen – it is an indulgence but very worthwhile. So far I have made linen pillows and aprons, covered an ottoman in linen and purchased enough to cover a small arm chair. I love working with linen! 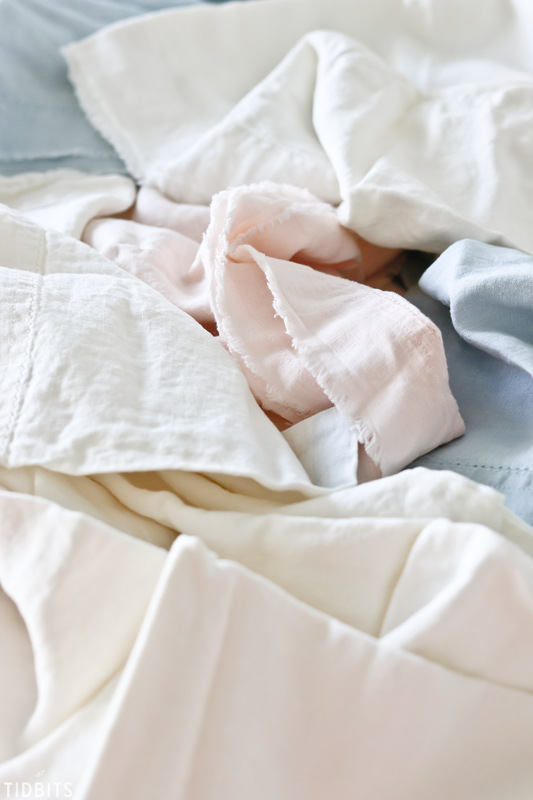 I’m excited to hear about your sheets – I’ve never slept on linen sheets, but if they are anything like my grandmothers vintage cotton sheets, they are quite the treat! My favorite splurge is anything kitchen related. I like playing around with the latest kitchen gadgets. I also enjoy buying colored serving dishes and table decor for special occasions. Oh I could easily splurge on the kitchen decor and dinnerware, and my sis has a weakness for kitchen gadgets! Soooo gorgeous!!! I am obsessed with that bedding!!! Beautiful, Cami! Splurges..hmmm good coffee and chocolate are always worth it to me. 😉 And I splurge on linen around the house often, because I LOVE it. I’ve never tried linen sheets, but they sound amazing! Cami! 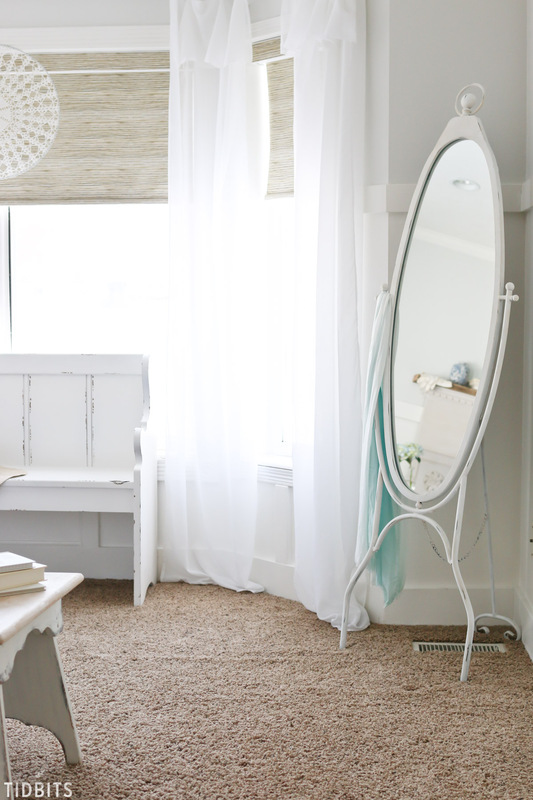 This is too gorgeous, I adore the mirror and pieces above your bed! Remember the vintage linen kitchen calendar towels? I buy those whenever I see them, at thrift stores, antique shops, and estate sales, and use them as hand and dish towels in the kitchen. I keep a couple of metis sheets (a vintage cotton/linen homespun) in the living room during the warmer months as a light cover-up when lounging on the sofa. Splurges, for me, are little things like, a sterling teaspoon to add to my growing collection of mismatched sterling silverware. Or, a linen towel, napkin, pillowcase, sheet, or even a scrap of linen, to add to that collection. Few things rarely match in our simple home, and fewer things still are ever bought new, but everything is simple and special to me. I love the blue you picked for the sheets. I love pink, but, lately, blue and white have caught my eye. Hmm, that would be a hard one for me. Ahhhh, splurges! Not having much of a green thumb, I’d walk a mile to Trader Joe’s for beautiful peonies. Then scower the internet for White Shoulders or Jungle Gardenia to spray my sheets with! These are gorgeous! I love splurging on fresh cut flowers, skincare products and blankets. There is nothing more cozy than snuggling into a blanket on a winter’s day. 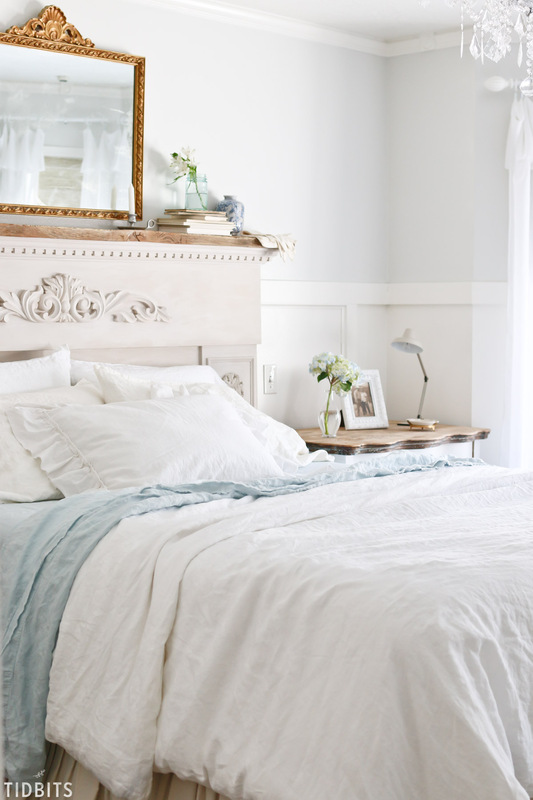 You’re room is so lovely and your linens look positively dreamy! I’m not much of a splurger but one thing I tend to spend a little more on is supplies for home projects. I don’t want to regret doing a project a round the house because I cheaped out in it! 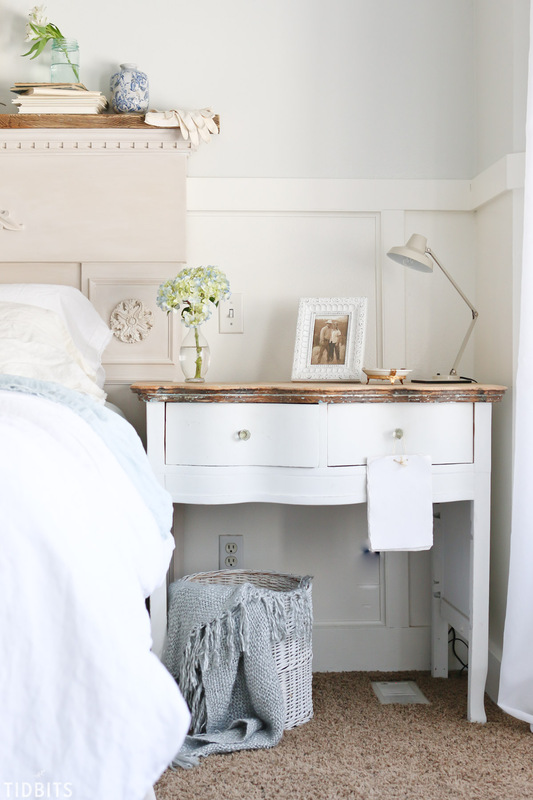 Wow, this master bedroom refresh is so beautiful and romantic! And definitely feels like spring. Amazing! Oh my word!! I have the linen doona cover in white but really thing I’d love the linen sheets. I can’t inagine how glorious they feel!! Bedding of my dreams!! And beautiful photos too! I’ve never heard of these sheets before. I’m going to have to splurge on these sheets. I would love these so much. I don’t really splurge on anything. I do hire a housekeeper once in a while when I’m overwhelmed! 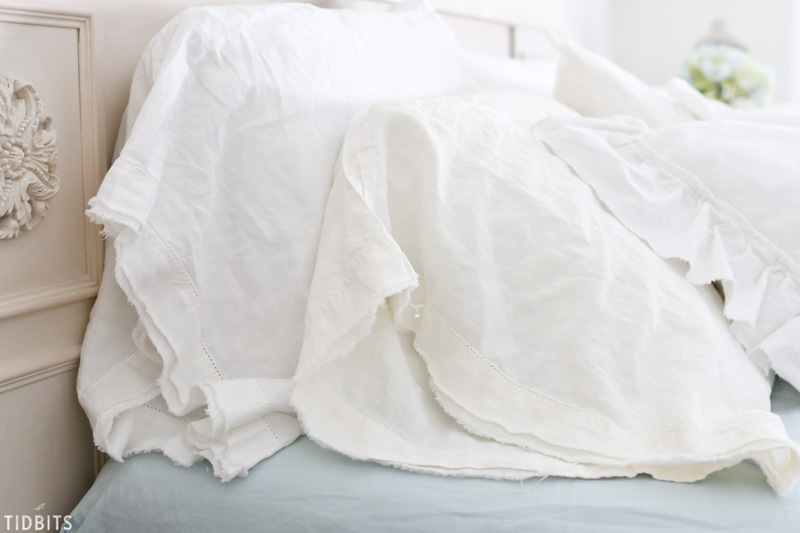 I recently purchased a linen blend comforter and I’m amazed! I would say IG has definitely inspired me to splurge on bedding as it’s so worth it! I drool over high quality material. My father was a yardgoods buyer for a large department store in Detroit and I learned so much about material from him. I have never had linen sheets but reading your blog I must look into them. Thanks for the article. I have been sewing for years, I would say that quality fabrics are my splurge! The touch and feel of natural fibers cannot be replicated. 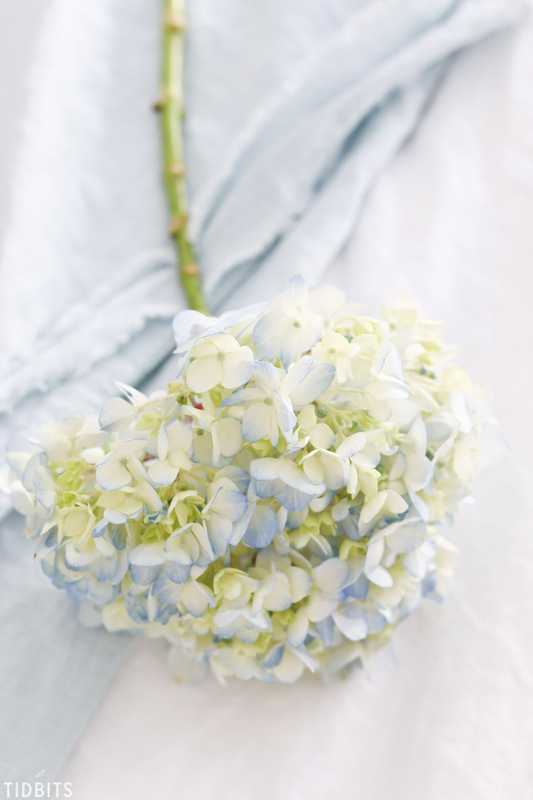 Thinking of summer reminds me of the soft colors of linen and all those wrinkles! 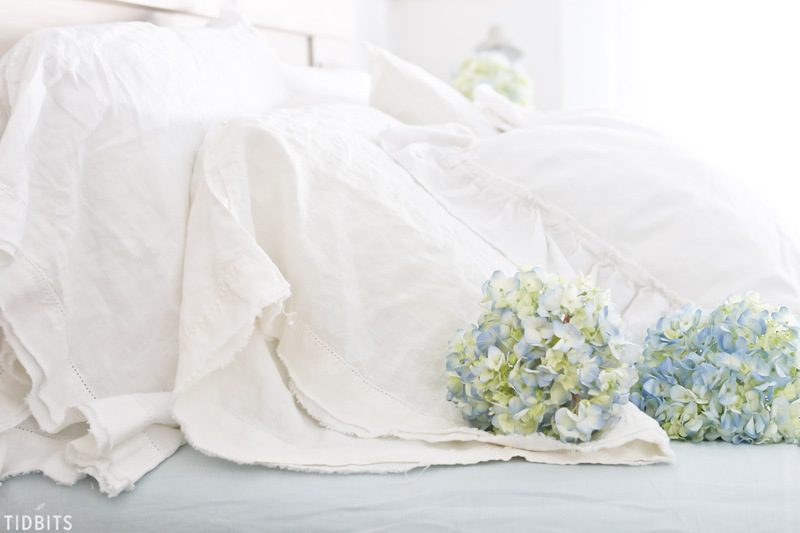 Linen sheets have to be heavenly! 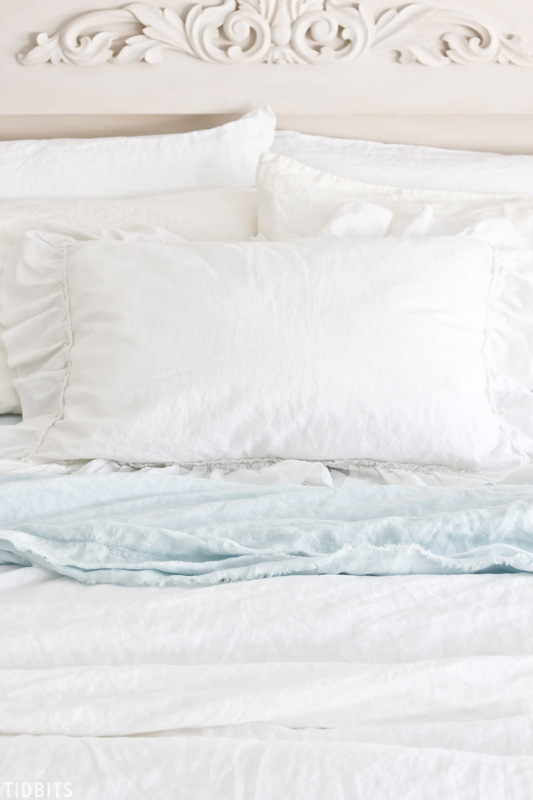 Linens have always been the one luxury I have gone out of my way to splurge on. A lush set of bamboo sheets, over sized throws with unique designs, plush and fluffy bath sheets… you get my drift. I love your linens! But I think the absolute best thing in your bedroom is your headboard. It’s exactly what I have been looking for my room. Thank you! You have such a beautiful home Cam! I love all the little details on the bookshelf and swapping out the pillows in your bedroom. And that wooden sign, and the plant! So much pretty here. You definitely have awesome photography skills. If I can get my photos to look half as amazing as yours one day I’ll be so happy. Thanks for the inspiration! My splurges? PILLOWS! 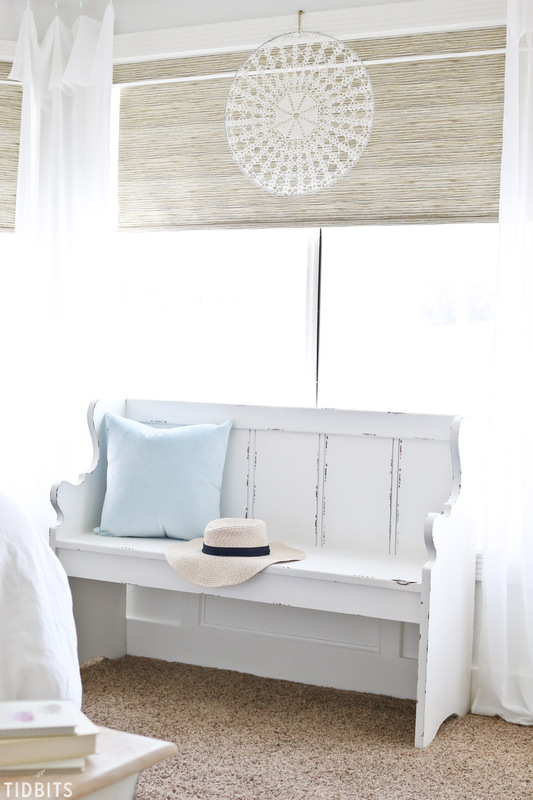 And I ADORE linen & lace… and finding ways to add them. Yes, I love, love my sheets, duvet from the company you suggested! My husband loves them as well! We moved last May. I took the curtains down from our dining room, cut them apart. Then I hemmed the patterned linen part for towels! The scraps have been made into linen sachets filled with lavender! Made a linen duvet for guest bedroom! What a beautiful look you have put together. 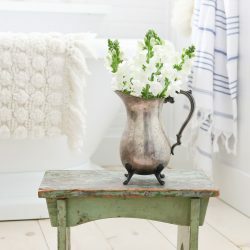 I adore linen, but find it quite pricey, so I like your faux linen ideas, that might work for me! Thank you again for all your inspirations! Oh, and by the way, lighting is my passion. I have cute small and large lamps all over the house to create soft lighting in all the rooms. It especially looks romantic & beautiful and night.